New listing in Walden! Looking for a no mello-roos, gated home with endless views? 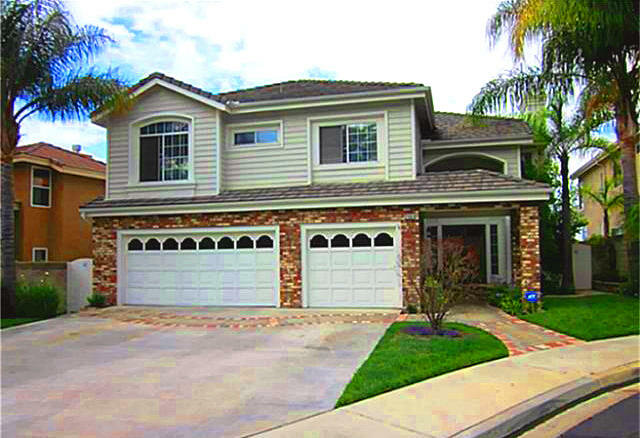 21551 Partridge St at Trabuco Canyon can be the answer! Posted by Teresa Mihelic HelpDesk on Tuesday, July 17th, 2012 at 1:58pm. Looking for forever views in the gated community of Walden? This 4 bedroom home has been beautifully upgraded with crown moulding, rich wood floors, and custom built-ins. Custom, fully permitted loft addition is perfect for a home office or easily converted to a bonus room. Remodeled kitchen with custom cabinetry and granite counters, remodeled powder room with wainscotting and custom vanity. Downstairs bedroom with its own private bath. Huge master suite with retreat and double sided fireplace, privaty balcony, and panoramic view. Master bath with dual sinks and large walk in closet. The secondary bedrooms are large and share a dual sink hall bath. Enjoy your spacious, panoramic view yard with built in bbq, in ground covered spa, firepit, and lawn area - big enough for a pool! The community has its own private lake and pool and spa with gorgeous Saddleback Mountain views. No Mello Roos! This beautiful small gated neighborhood in the easternmost limit of the city of Rancho Santa Margarita, part of the Trabuco Canyon area, it's located off Plano Trabuco Road against the hillside between Rancho Cielo and Robinson Ranch. The 133 Walden Homes are characterized by having some of the lowest tax rates in the area, having single loaded cul-de-sac streets with city and mountain views, and it's own pond.The main streets for the community are Hummingbird, Bluejay, Turtledove, Partridge, Honeysuckle and Weeping Willow. As you enter the community there's a beautiful waterfall that leads to the pond. The community pool and spa were built next to the pond so everyone can enjoy the natural setting.